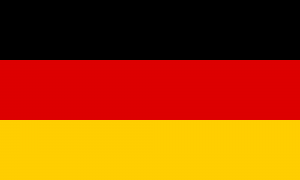 Berlin/Cologne, 04 July 2014. 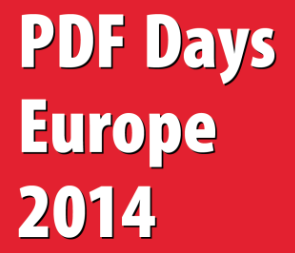 The PDF Association has successfully brought to life a new user-focused event in the form of the PDF Days Europe 2014. In mid-June, 160 participants came to Cologne to seize the opportunity to learn everything there is to know about the different PDF standards, their advantages and their uses. The first day focused on sharing knowledge, allowing visitors to assemble their own personal information package out of three parallel series of developer-neutral presentations. The second day, the practical day, was all about the practical and successful implementation of PDF projects using specific solutions. Participants especially praised the practically-minded selection of subjects, the structure of the conference with its three parallel series of presentations, and the many opportunities to speak to suppliers and other users. With this overwhelmingly positive feedback in mind, the PDF Association plans to continue the PDF Days Europe next year. To begin the conference, six proven experts had seven minutes each to introduce one PDF standard, providing a good overview of PDF/A, PDF/E, PDF/UA, PDF/VT, PDF/X and PDF itself. On the first day of the event, presentations on the use of the PDF format on mobile devices were met with particularly significant interest. These included case studies for scanning with smartphones, clearing invoices, legally signing PDF documents and options for optimising PDF display on mobile devices. Presentations on e-invoicing with the now officially approved ZUGFeRD data model were also very popular, as were those on the new technical guidelines for replacement scanning, TR-RESISCAN. Contributing providers began the practical day: each had a closely-measured five minute slot to introduce their product or solution. This brief, fast-paced overview made it easier for participants to decide which questions or solutions they wished to focus on out of the available options. One key issue here was converting scanned and digital documents, and particularly emails, to PDF  and not just to PDF/A for long-term archiving. Both the introduction to and the workshop on universally-accessible PDFs in the form of PDF/UA were very popular with visitors. All in all, the many lively discussions in the presentations showed just how critical the issues presented were to participants. Interested parties who missed the PDF Days Europe 2014 can view video recordings of the presentations at https://www.youtube.com/playlist?list=PLfGR40SWnakjyWjfnmFOz-nsmf3_ap_Ec. The PDF Association pursues the goal of promoting open-standards-based PDF applications for digital documents. This international association works to actively share knowledge and exchange know-how and experience between all interested parties worldwide. Currently over 100 companies are members of the PDF Association, including many experts from over 20 different countries. The PDF Association board is made up of the leadership of the firms Adlib Information Systems Inc., Adobe Systems Inc., callas software GmbH, Datalogics Inc., intarsys consulting GmbH, levigo solutions GmbH, LuraTech Europe GmbH, Nitro Software Inc. and Satz-Rechen-Zentrum (SRZ). The chairman of the board is Olaf Drümmer, president of callas software GmbH. Duff Johnson, the project leader for the ISO working group for the PDF standard, is the boards vice-chairman.